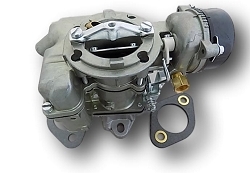 Carburetor can also be spelled Carbureter. 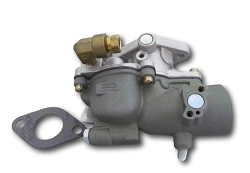 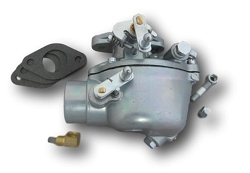 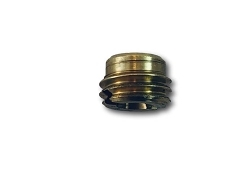 Carburetors come in all types of manufactures & sizes, including 1, 2 & 4 barrel. 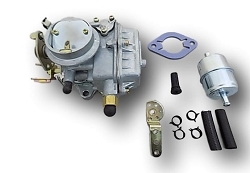 We carry several new carburetors, including a Zenith 228 universal, Holley 1904 universal carburetor, Solex universal carburetor and Zenith 161 updraft carburetor. 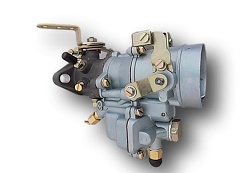 With the exception of the Zenith 161, all of the universal carburetors come with an adjustable jet so they can be tuned to your particular engine. 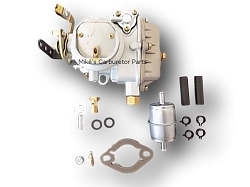 All are manual choke carburetors. 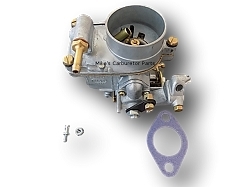 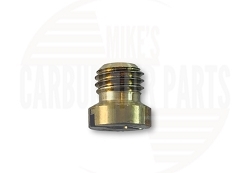 Replacement for 1 barrel carburetors.